The Information Security Office provides a variety of services to the UT Arlington community. In a nutshell our goal is to foster best practices for preventing unauthorized access or changes to information or information systems, and to ensure that both are available to individuals who have a need-to-know. Spyware is a type of malware that's hard to detect it collects browsing history, or personal information. Phishing is a method of trying to gather personal information using deceptive e-mails and websites. Ransomware is a type of malicious software that block access to it unless a ransom is paid. Email spam, also known as junk email, is a type of electronic spam where unsolicited messages are sent by email. Social engineering is a way that cybercriminals use human-to-human interaction in order get the user to divulge sensitive information. USB flash drives and ports can be a security risk and users should be aware to ensure their safe use in order to protect University assets. The goal of the Information Security Office (ISO) is to support the overall vision and mission of The University of Texas at Arlington and to preserve, protect and enhance its reputation as a rising Tier 1 research institution. The objectives of the ISO are to assist members of the Institution in protecting information and computing resources that they have been entrusted; to recommend or implement information security safeguards to address vulnerabilities or prevailing threats; and to improve, where practical, information security solutions and business process that reduce cost and reduce the impact of security controls on user efficiency. Developing policies, procedures, guidelines and standards designed to advance UT Arlington’s Information Security Program. The goal of the program is to prevent unauthorized access or alteration of information while balancing the need for availability. Procuring, providing, implementing or administering technical, administrative or physical safeguards that aid with preventing accidental or malicious disclosure, modification, disruption or destruction of extant University information or information systems. Screening, as part of due diligence activity, all University information systems or services, prior to acquisition, for minimum information security standards as well as ensuring that these conform to Federal, State and Local regulations governing information security and privacy, as well as policies and standards established by UT System and UT Arlington. Providing leadership and investigative support to business units or individuals affected by a University related information security incident, such as the accidental or malicious disclosure, modification, disruption or destruction of information or information systems, as well as to provide guidance on how to prevent such activity. 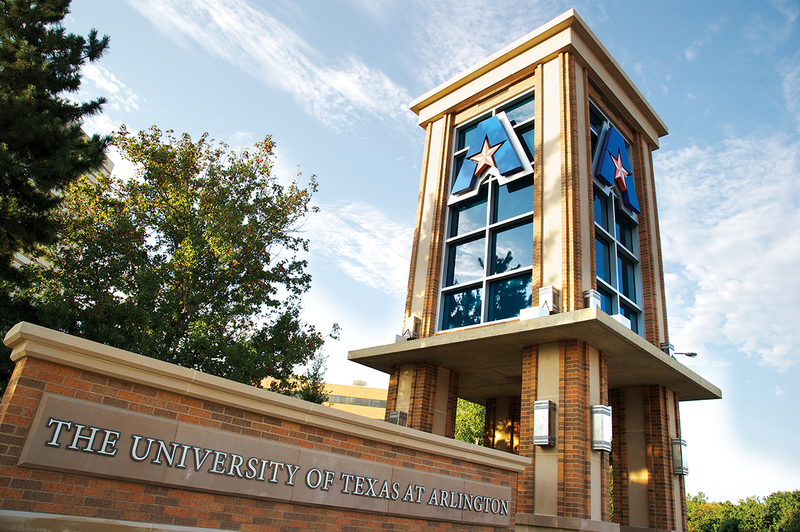 Responding to security incidents, prevailing threats, breaches, intrusions, and/or system abuses that originate from external networks against UT Arlington, or those that originate from the University’s network. Establishing and maintaining the Information Security Administrator (ISA) program and providing information security awareness and required training to employees. Reporting the status of UT Arlington’s information security program and, as appropriate, incidents to the President, Executive Management, University of Texas System, and to the State. The Information Security Office has developed the following printed (printable) media to highlight various services offered and security measures available to the UT Arlington community. How do you prevent data breaches at work? What do you do if your personal data is involved in a breach? Is it possible to maintain privacy in a constantly connected world so immersed in technology? In this issue, we address these questions and uncover solutions for maintaining security at work, at home, and on the go. 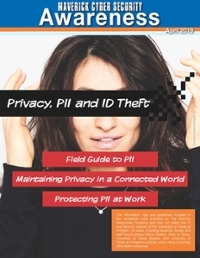 It begins with a field guide to PII, continues with five steps for preventing identity theft, and ends by identifying the most common causes of data breaches—all while highlighting the non-technical, human side of protecting data!